Magritte’s work has had an enduring effect on the art world, inspiring artists ranging from John Baldessari and Ed Ruscha to Jasper Johns and Andy Warhol. Magritte’s impact has also been felt throughout popular culture. 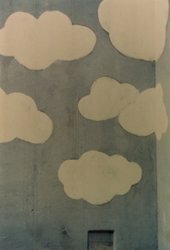 Musicians such as Paul Simon, directors Jean-Luc Godard and Terry Gilliam, and many writers and advertisers have all been influenced by Magritte’s famous images. Paintings will feature alongside drawings, collages, examples of Magritte’s early commercial work and rarely seen photographs and films. The exhibition will include iconic pieces by the artist as well as some more surprising works, offering visitors a fresh insight into the intriguing world of Magritte. Not to be missed. An alphabet of Magritte terminology with images and ideas for discussions and activities.